John of Normandy wants only to prove himself worthy of the king’s trust. He is rewarded for his service and loyalty with land, titles and a Saxon beauty for a bride. John balks at the marriage, driven by the secret guilt of knowing Rowena’s father would still be alive if not for him. However, John’s reluctance is soon replaced by a burning desire to please this woman and win her over as well as her people. 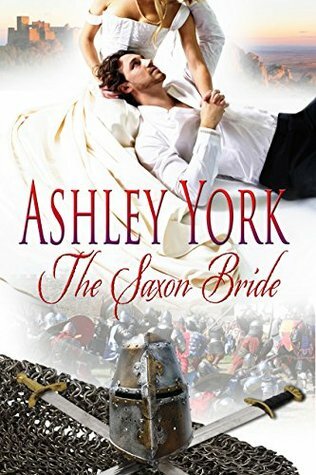 THE SAXON BRIDE by Ashley York is an exciting Historical Romance set in 1071-1074 England. #1 in “The Norman Conquest” and what a beginning! WOW! A Norman Knight and a Saxon Bride what an intriguing as well as emotional tale! Adventurous, dangerous and passionate. A very intriguing read! I read this fast paced, action packed tale in one setting. The characters jump off the page. The storyline is realistic, you could almost feel the tension between the Saxons and the Normans. Ms. York is a wonderful storyteller. I would highly recommend this awesome Medieval tale of love, romance,danger, and a new beginning. It has some very tragic consequences as well as the power of love and trust. I can’t wait to read the others in this series. Bring them on! An absolute delight to read. Powerful,suspenseful and intriguing! A page turner to be sure!